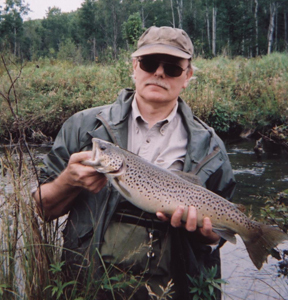 In the off season when good men go crazy knowing trout season is so far away it helps to have a place to escape so their wives don’t shoot them. Of course all men do not have that problem (wives) in which case their entire home is a man cave. I have one buddy in this situation who is kind enough not to rub it in. Each room in his 1920’s two story is dedicated to a hobby such as gas powered model airplanes, guitars, computing, hunting. There is not enough table space in any one room to sit down a cold beer so when the couch is de-cluttered you set the beer on the floor at your feet. The solution of course is having a dedicated beer room but that could invite other problems like too much time dedicated to the one hobby. Feral has maybe the classic man-cave. The basement in his old bungalow could be rated on a variety if scales including horsepower. Feral is fascinated by machines and motors from the steam age forward and at one time or another he has torn apart, rebuilt or even built from scratch most any type of engine devised by man. He’s also fascinated by primitive weapons and has hand built scores of strange rifles including his own invention, the blowgun firearm. 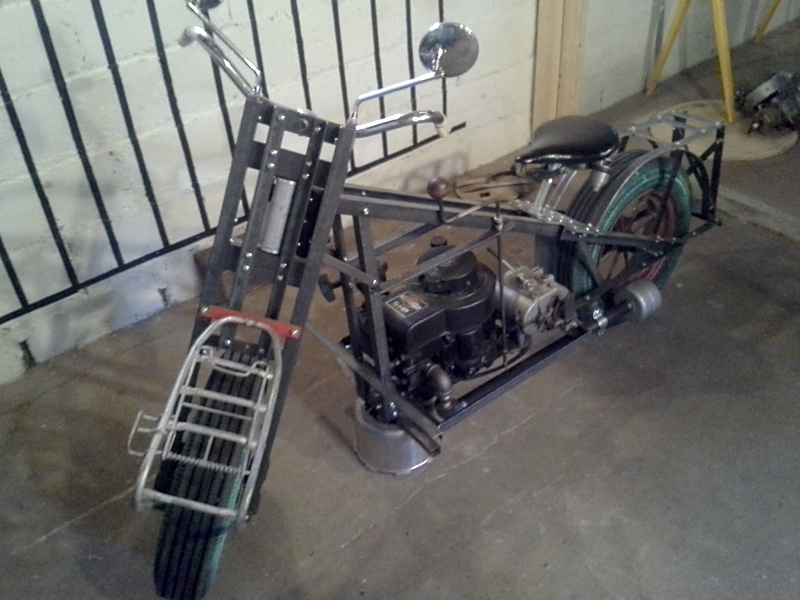 His current projects include a mini-bike that looks like a chopper which he wants to have ready for Baldwin’s annual Blessing of the Bikes and an antique Mighty-Mite outboard motor which may end up powering his fishing kayak. 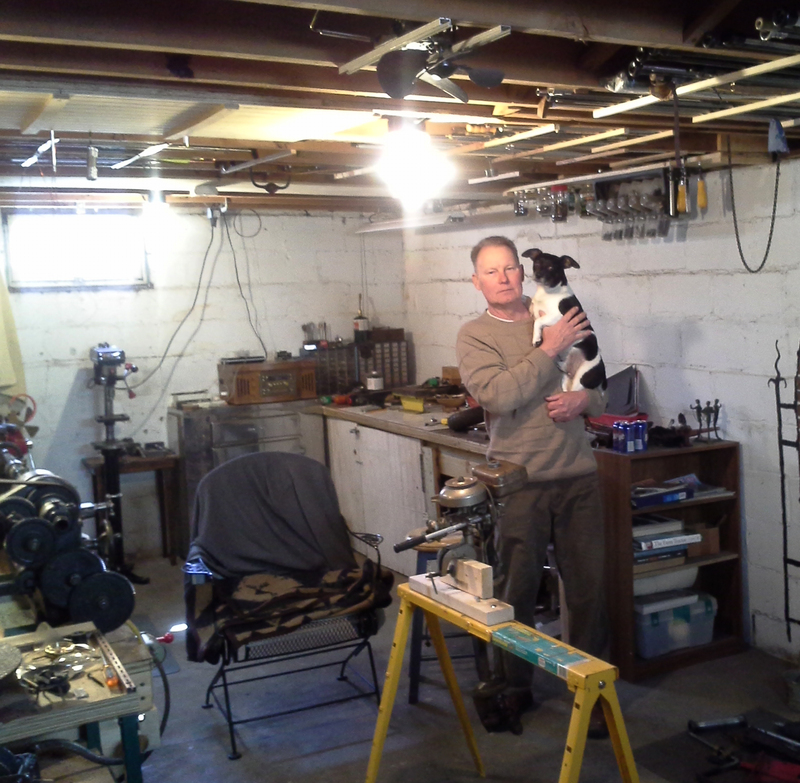 There seems to be a direct correlation between square feet of man cave and a man’s hobbies. Fortunately for me my main hobby of trout fishing requires very few square feet so my man-cave is ten square feet of the garage. It’s not much space, but truth be told I am pretty comfortable in the 2000 square foot women cave attached to my small parcel.